Work Smart. Spend Less. Close More Deals with a Smart Site from Real Estate Digital. Add new pages and pictures yourself! $55 Setup Fee & $55 /month. If you're looking to add more listings to your business, have your website serve as a valuable resource for buyers, add new leads to automated drip email marketing campaigns, send MLS listing alerts via text message - all running on auto-pilot, than this is the website package for you. Choose from 42 different professional website designs that are easily editable with a Content Management System that allows you to add, edit or delete your website content at anytime. 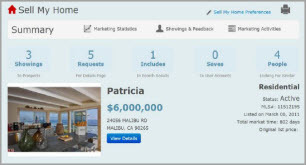 A good IDX property search is an absolute must for a successful real estate website. 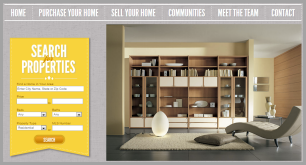 The Smart Sites IDX property search is simply awesome! 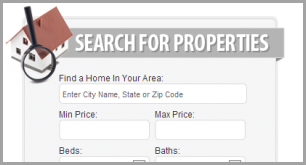 Fast, easy and powerful property searching for your website visitors. Your website will automatically display the mobile version when someone visits your site from a mobile phone. 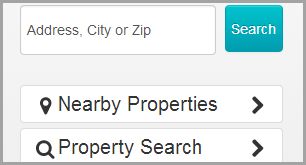 The "Nearby Properties" button will display properties from the MLS that are closest to them. Yes, two websites are included with the Platinum package. 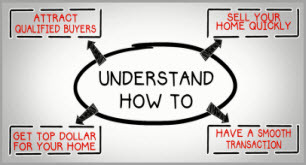 Choose to have a separate website for sellers (recommended) with the sellers video on the home page or go with the community website. You get 2 separate websites with Platinum. We recommend the primary website to be used for personal branding (ex: SmartSitesDemo.com). Is there a 12 month term agreement? Yes. A 12 month term agreement is required. You can cancel within the first 30 days free of charge, excluding any setup fees that may have been charged. Is website hosting and the IDX property search system included in the fee? Do I have to write a bunch of website content and other time consuming stuff to get my site all setup? No. We have default website content already in place for you. Will someone actually setup the whole thing for me? Yes. We do it all for you. After you place your order, just email the Project Manager your picture and any other content you want on your site and we'll take care of it. Who do I call if I have I need technical help? How long does it take to get setup? About 1 week from the time we process your order form. Do I need to buy a domain name / website address? Yes, you will need your own domain name. If you already have a domain name we should be able to use it assuming you have access and control of your domain name. Can I use multiple domains with my Smart Site? Yes. A primary domain name needs to be established and then you can have secondary domains redirect to the primary domain. This is done through your domain name host. Are website analytics included or can I add Google analytics? Yes to both. We offer a basic website visit tracker but we recommend Google analytics for detailed website analytics reporting. Are Smart Sites SEO friendly and / or can I hire a 3rd party SEO company to optimize my Smart Site? Yes to both. Feel free to SEO your own Smart Site or outsource it to a reputable SEO company. How many pages can I add to the Smart Sites Gold website? Up to 100 additional custom content pages can be added. An unlimited amount of jump search pages can be added. What's the difference between a "custom content page" and a "jump search page"?